Astec Inc. is exporter as well as supplier of Spring Steel Materials. We Can Supply these strips in diffrenet sizes With required fabrication for end utilization. We weill Provide these strips with urgent delivery and good quality. We are one of the renowned Traders & Exporters of Hardened & Tempered Spring Steel Strips. 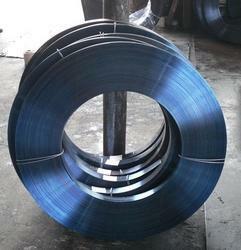 We are a leading manufacturer and supplier of Spring Steel Strips. These are available as per client requirements at affordable prices. We are a well-renowned organization in the industry to provide our patrons the best quality array of Spring Steel Strip. e can offer you EN 47, EN 9, EN42J in annealed and Hardened & Tempered ( C- 62, C-80, C- 85, C-90, C -98) Spring Steel Strips, Rods, Flats, Sheets, Wires in bright and blue finishes in various thickness (0.12mm to 6 mm) and various widths as per your requirement. Also available Wires & rods in annealed and hardened tempered condition. We are engaged in manufacturers and exporters of all types of Spring Steel Strips. 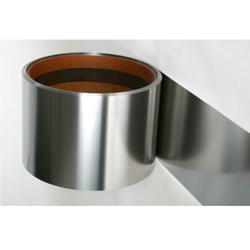 We are providing a wide range of Steel Strips. These are made from pure stainless steel and have very flexible body. Widely used in different machines, these are finely finished and have very sturdy nature. Steel strips, Coils, Sheets, Alloy Steel We offer a wide variety of CorWe offer a wide variety of Corten Steel plates which are corrosion resistant and require no maintenance. We are one of the most well-distinguished companies in the market that are into offering Spring Steel Strip.